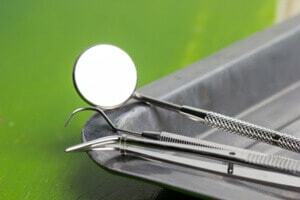 At Greene Comprehensive Family Dentistry, we offer a variety of dental services from routine dental cleanings, to fillings and root canals, cosmetic services, implants and dentures, orthodontics and more. We can work with you to provide a plan for your immediate needs and long term dental health. We strive to provide the highest quality dental care in Ruckersville and take pride in offering comfortable and health conscious dental and oral health services to our family of customers! If you are having tooth pain, are looking for a new dentist, or just need a routine cleaning, give us a call today! You are our patient, which makes you a part of our family. We don't want you to suffer from dental pain for even a moment longer! Whether you are transferring to a new dentist or have been avoiding the dentist, we can help you and encourage you to call us. Broken tooth? Unexplained pain and sensitivity in your teeth? Call us! We will take care of you in a compassionate, prompt, and conscientious way! We can offer a variety of ways to help you schedule and remember your upcoming dental appointments. If you are tired of reminder phone calls from your dental office, we are happy to email or text you about your appointments! Contact Us today to get started!